With Combined Clip transcoding, Silverstack Lab can transcode multiple source clips to one single combined transcoded clip. This allows to create combined clips for complete scenes or more. 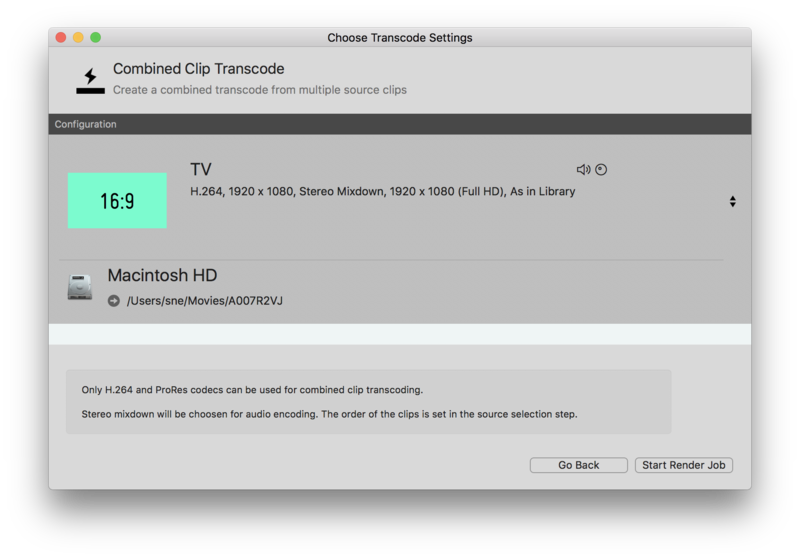 To learn more about the “standard” Individual Clips transcoding option please refer to the article Transcoding in Silverstack Lab. Please be aware that the order of clips in the source selection step reflects the order of clips in the combined transcoded clip. You can change the order by resorting the table columns. Choose your transcoding preset from the transcoding configuration presets that you have created. 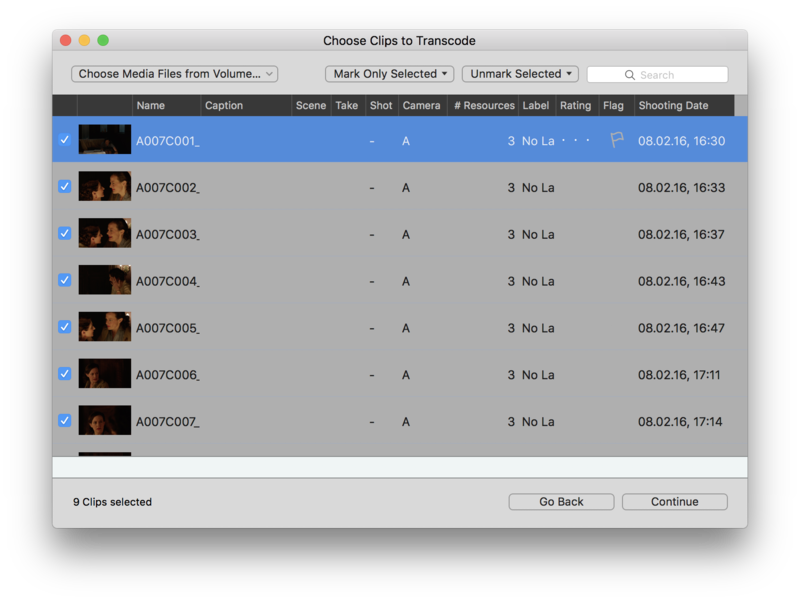 Select the transcoding destination path. Click “Start Render Job” to start the transcoding job.